Muslims across the globe are currently immersed in the fervour of Ramzan. However, the holy month of fasting is incomplete without ‘Iftar’, the delicious evening meal with which the devotees break their day-long fast that often consists of delicacies especially cooked during the holy month. 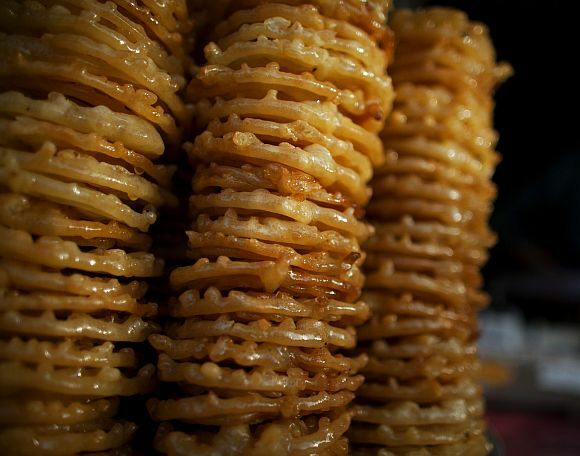 Rediff.com takes a look at Ramzan feasting and some lip-smacking special delicacies from around the world. 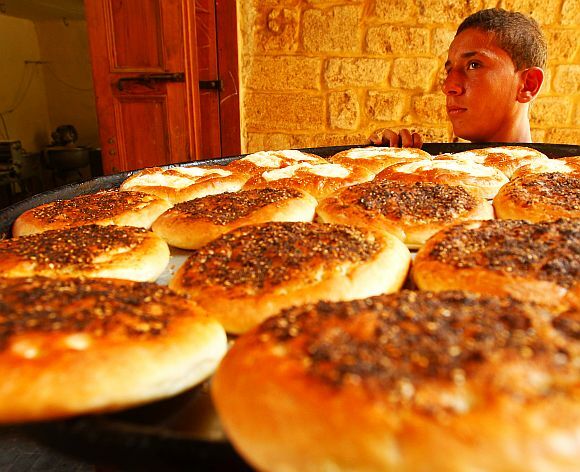 In this photograph, a vendor is seen carrying Ramzan-special pastries called 'Manakish' in Sidon's Old City in southern Lebanon. 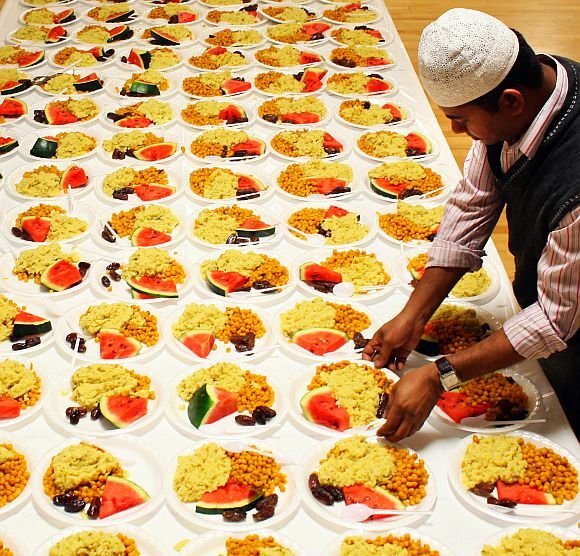 A Muslim man is seen arranging food for an Iftar, the evening meal in the holy month of Ramzan, at the London Muslim Centre. 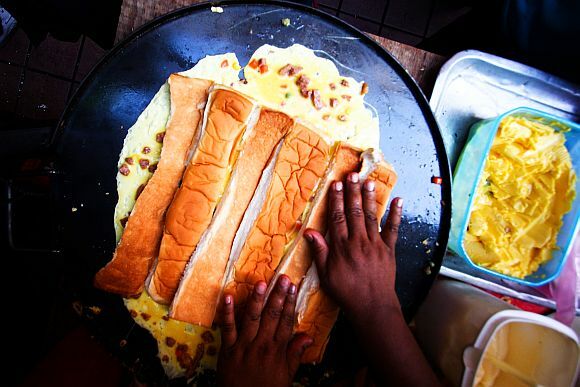 A cook prepares a dish called 'Roti John' at a Ramzan bazaar in Kuala Lumpur, Malaysia. 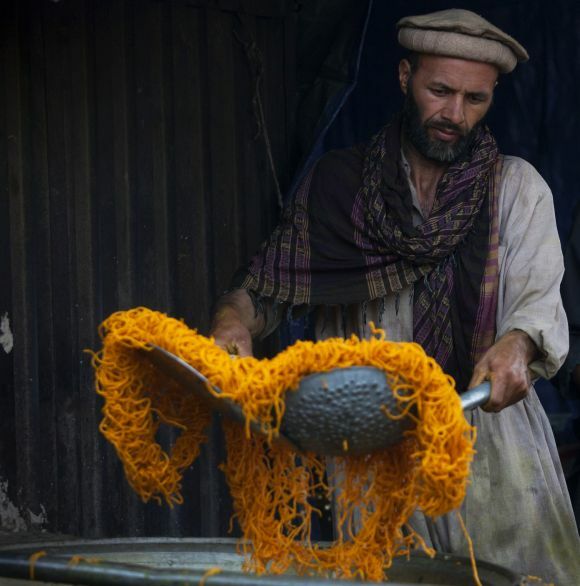 An Afghan man makes sweets in a shop during the holy month of Ramzan in Kabul. Muslims eat their meal during the holy month of Ramzan at Jama Masjid in the old quarters of Delhi. 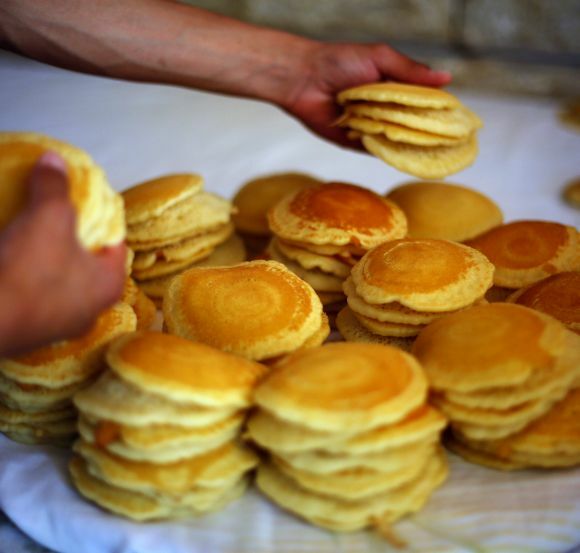 A Palestinian arranges qatayef, a dessert traditionally eaten during the Muslim holy fasting month of Ramzan, for sale in the West Bank city of Ramallah. 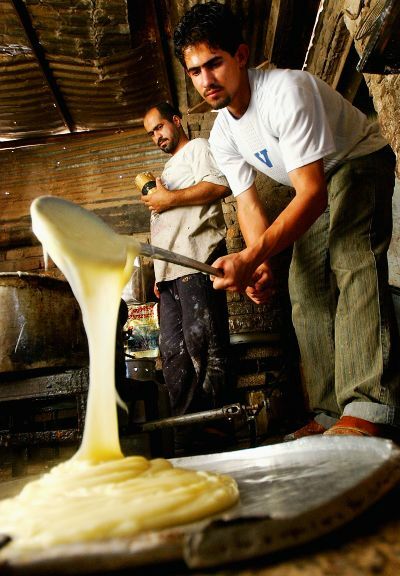 Afghan men make traditional sweets in a shop during the holy month of Ramzan in Kabul. 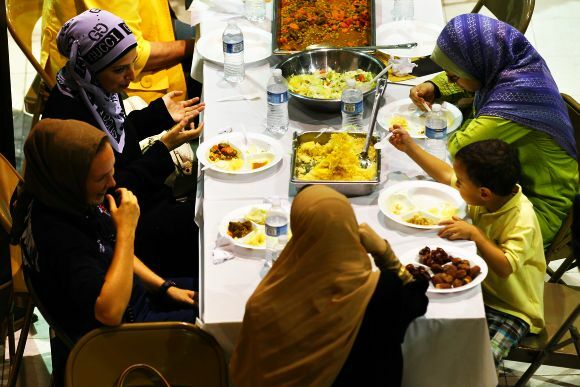 Women participate in an iftar dinner at Dar Al-Hijrah Islamic Centre, in Falls Church, Virginia, United States of America. 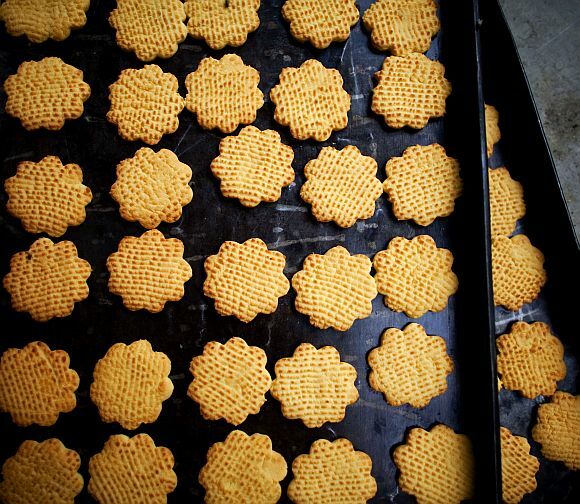 Traditional sweets for Iftar are seen during the holy month of Ramzan in Kabul, Afghanistan. 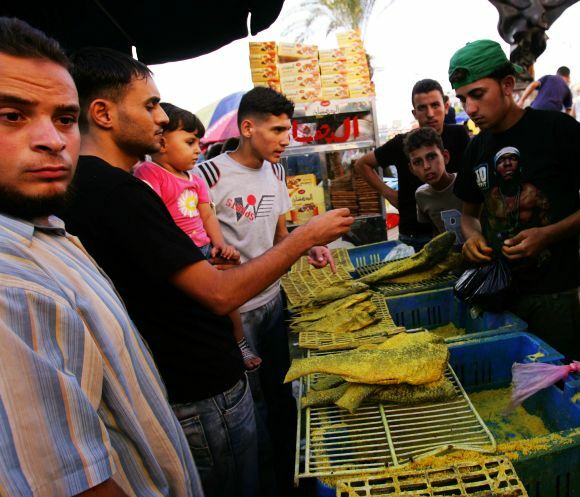 Palestinians buy smoked fish called ‘Fseekh’, at the Al-saha market during Ramzan in Gaza City. 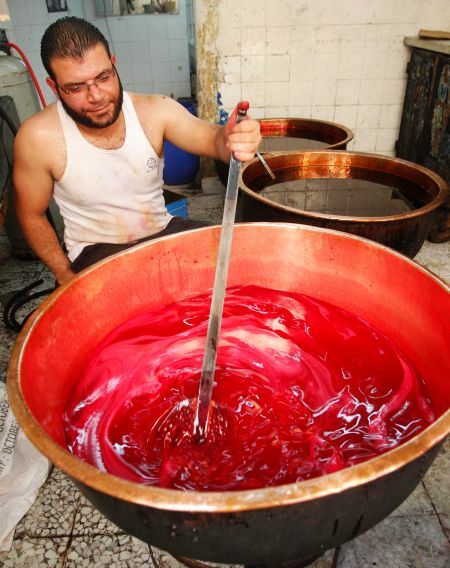 Iraqi men work at a sweet factory during Ramzan in Baghdad. 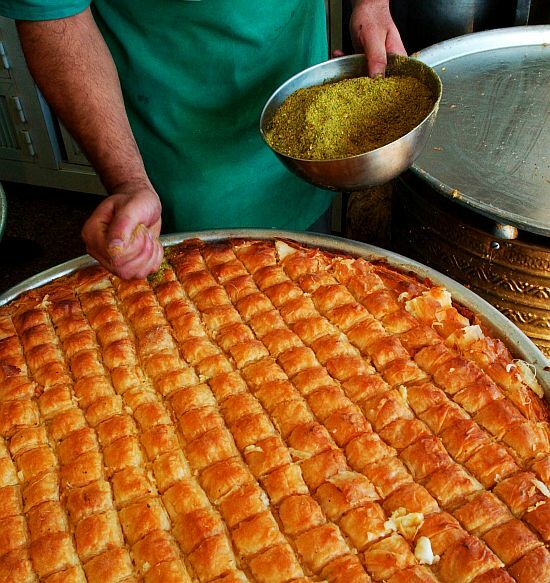 A Jordanian chef puts crushed pistachio nuts on pastries during Ramzan in Amman. 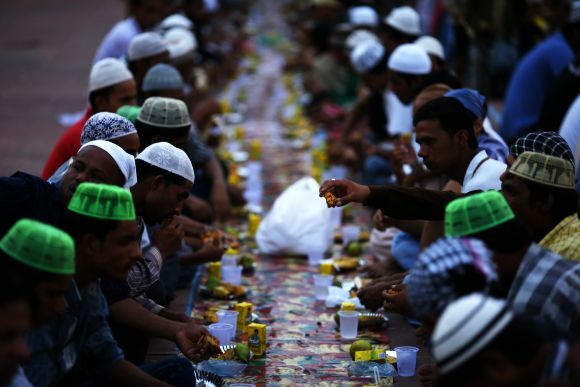 A family breaks the day's fast with the Iftar meal in Paris. A vendor prepares 'Jallab' and 'Rose', traditional Ramzan drinks, in Sidon's Old City in southern Lebanon. 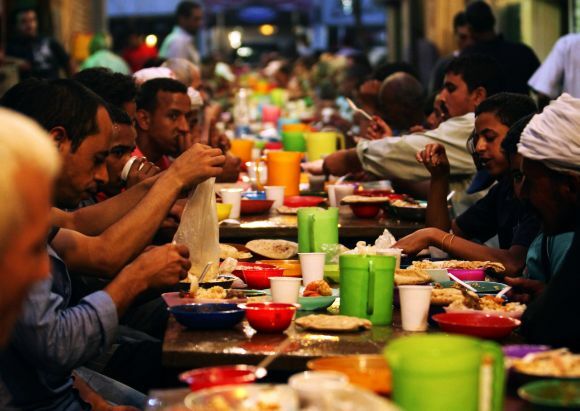 Men break their fast during Ramzan in Cairo. 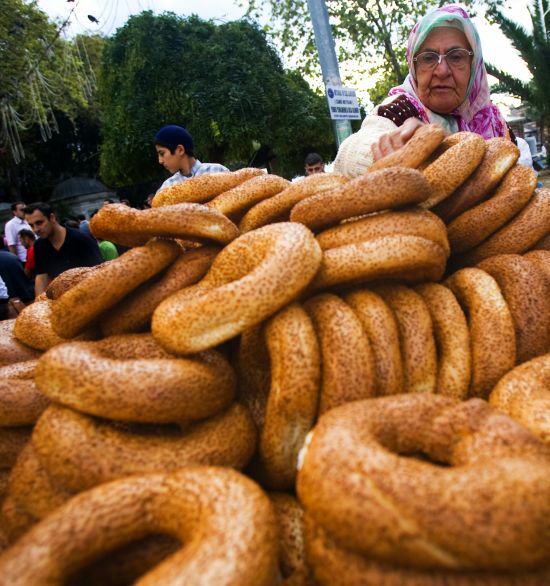 A vendor sells Turkish traditional breads outside the Eyup Sultan Mosque during Ramzan in Istanbul. 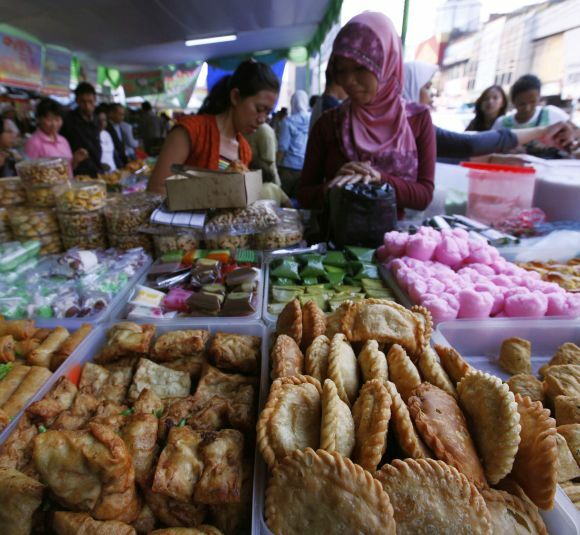 Vendors selling food for breaking fast wait for their customers during Ramzan in Jakarta. 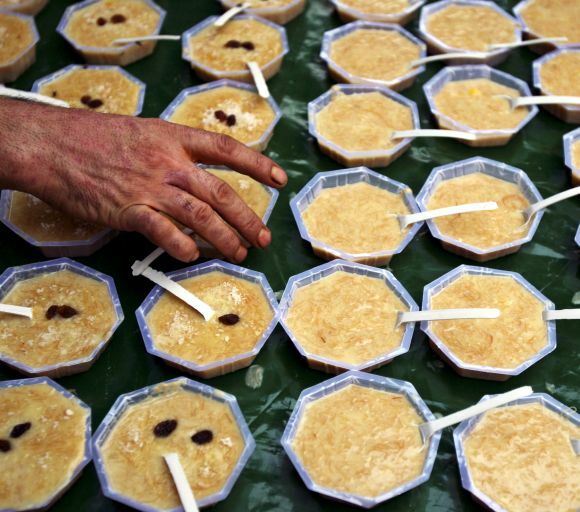 A Muslim man arranges bowls of kheer for sale outside a mosque in Jammu during Ramzan. 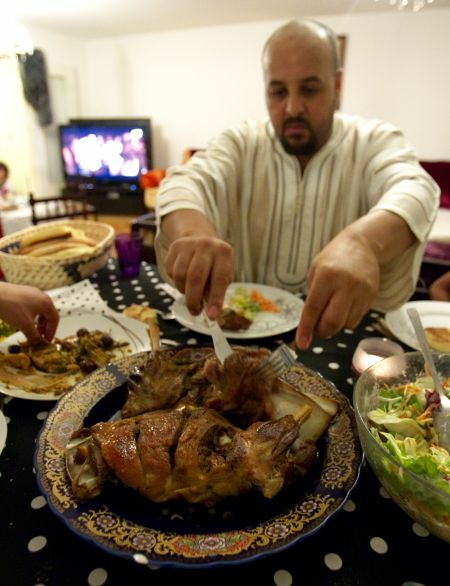 A shop owner serves food for Iftar meal at his apartment in Geneva, Switzerland. 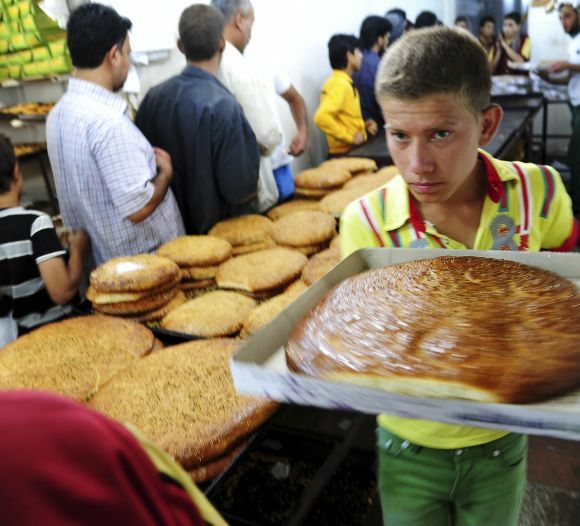 Men queue up to buy traditional bread before the time for Iftar, during Ramzan in Raqqa province, eastern Syria.